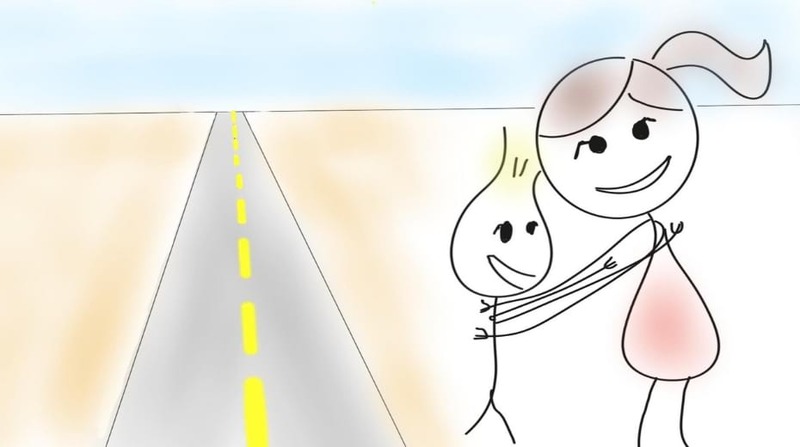 Family road trips – you either love them or loathe them. I happen to fall in the loving them category. There is something so special about packing up the car and family, and heading out on an all-American road trip. Picture it. The music is playing. Your hair is blowing in the open window. And you’re eating junk food snacks with a big ‘ole smile on your face. Wait, what am I thinking? I have kids! Three of them actually. A 5-year-old, 2.5-year-old, and 10-month-old baby. As you will find out, what I envisioned and what actually happened on our first big family road trip couldn’t be more different. But that, I think, is what made it all the more memorable. 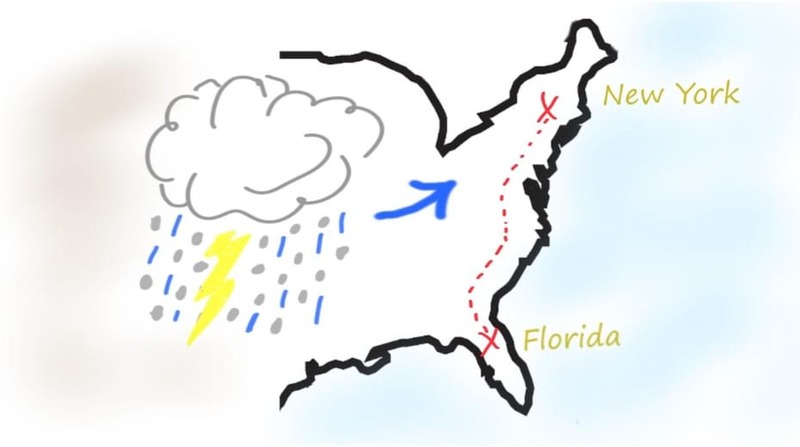 It has been a dream of mine to do a cross-country road trip from our home in the Eastern United States to the West Coast (and it is still on our family bucket list!). However, our first big family road trip was motivated by cold winters in the North East and having Grandparents to visit down in Florida. As soon as I knew my parents and my in-laws would be in Florida in February, I knew we had to go. You see I’ve lived in Western New York most of my life and February can be so harsh. The bitter cold takes a toll and I needed some sunshine. At this point in our lives, flying just seems too difficult between the costs and the logistics of it. Just the thought of going through the airport with three young kids (under five), 3 car seats, strollers, diapers, pack and play, and all the other supplies needed to travel with three little ones is really stressing me out as I type this. So we figured driving was the best option seeing as we could just rent a car for all our stuff. I am happy we went with driving because we learned a lot about what it’s like to depend on each other. We experienced what it’s like to be stuck in a car for three days with each other, and that we can take on anything as a family. 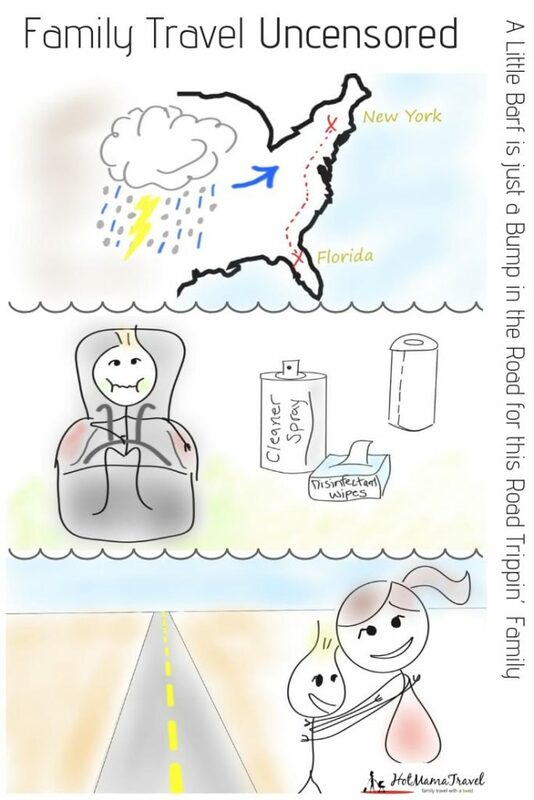 If you are a parent you know that whether you are going to the store for an hour or a 1,200-mile road trip, you MUST prep and pack. 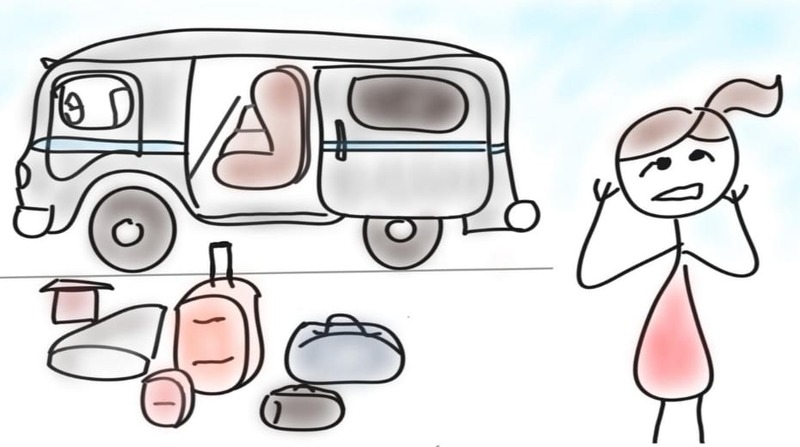 I packed all the essentials for a family road trip, and in case you are interested, I go into all the details on my own blog HERE. In short, a road trip basically requires food, drinks, and entertainment. I packed our car with goldfish, everyone’s favorite snacks, bottles, juice, and other goodies to last us longer than the three-day drive. I wanted to be prepared. Also, one of our favorite family traditions is to make a Jammy Jam. Today people call this a playlist, in the 80’s we called it a mix tape, but in our family, we call it a Jammy Jam. We create a playlist of our favorite songs and burn them to a CD that becomes our Jammy Jam for the year or the trip. 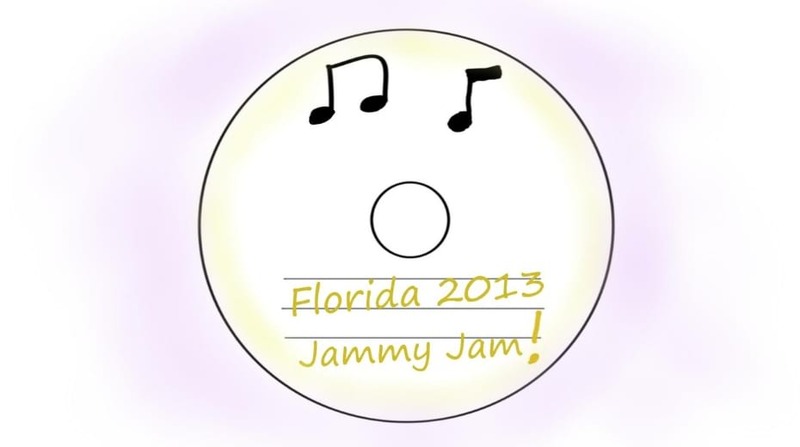 Our Florida 2013 Jammy Jam was packed and ready to go – and so were we. I had done all the prep work, we were packed and all ready to leave on Friday morning bright and early, at 5:00am. Then we checked the weather. A huge snowstorm was moving across the country and would be directly over where we were headed through New York state and Pennsylvania. I thought, “We can’t let a little snowstorm stop us from sunshine and warm weather”. So we moved the trip up a day and decided to start our journey to Florida a day earlier. It was freezing and early as we packed into the car for our first part of the trip. Our goal was to drive 600 miles (about 10 hours) from Rochester, NY to Rocky Mount, North Carolina. We quietly carried each kid wrapped in their blanket to their car seat, buckled them in, and hoped they would fall back to sleep. They didn’t, but it was quiet and they did eventually fall asleep about an hour into the drive. As we drove on the quiet, snowy, dark streets I felt accomplished. I thought, “We could totally do this”. The sun was rising and we had been driving for about 3 hours, so we decided to make a quick stop for breakfast. Dunkin Donuts would be easy and quick, I thought. And it was. Our stop took less than 15 minutes and we didn’t even have to get out of the car. Three hours in, it was nice to have a hot cup of coffee and breakfast sandwich. The kids were excited to have frosted doughnuts with sprinkles. Imagine us – playing our Jammy Jam, looking out the window at America’s beautiful scenery, and enjoying our breakfast. But about 15 minutes after breakfast it started. I was watching the scenery pass me be when I heard it – the sound that no mother ever wants to hear coming from her child. Especially from her child stuck helplessly in the back row of a van surrounded by a maze of blankets, suitcases, coolers and stuffed animals. You guessed it. My son was getting sick. It all happened so fast I didn’t really have a chance to react. We pulled off the road at the first gas station we saw. As I opened the van door, I immediately sprung into action. I started throwing all the carefully packed luggage and stuff onto the ground outside the van so I could reach my son ASAP. When I finally reached him to survey the situation back there, I was aghast at what I saw. My 2.5-year-old was covered, and I mean COVERED in puke! My daughter sitting next to him was cowering as close to the window as possible (thankfully she didn’t really get hit). His seat, his clothes, his blanket, and his beloved stuffed animal got the worst of it. I helped him out of the car, carefully, so as not to make the mess any worse. My husband was out of the car, ready to help him change. I sprinted into the gas station to get some supplies. Twenty dollars later I had every sprayer, disinfectant, and cleaner I could find in there. When I approached my husband the look on his face was priceless. He looked bewildered, shocked, helpless, and at a complete loss for words. He discovered that there was no way we could save the car seat. It was completely covered and there was just no way we could clean it up enough for my son to sit in it for the long drive ahead of us. I couldn’t believe it. I did heroically try to fix it with my gas station cleaning supplies but eventually I, too, had no choice but to admit defeat. Now what? I honestly didn’t know what to do. Since I travel a lot with kids I know that stressful situations are bound to happen, and sometimes you just have to act in the moment. Would we rise to meet this challenge? I went into the gas station to clean up his blanket and stuffed animal as my husband got him dressed in new clothes. By some stroke of luck we were 3 miles from a Kmart. If we would have been a few more miles down the road, I honestly don’t think we would have found a place to stop. We said goodbye to the car seat in the gas station dumpster, loaded my son into my daughter’s booster seat, and made a slow and careful drive to Kmart. As a mom who is always thinking about safety, especially in the car, the 3-mile drive to the store was pretty nerve racking. I was worried about my son getting sick again and I was also worried about my other child not being in a booster seat. We arrived at the store and waited about 15 minutes for it to open. While my husband ran in, I started picking up the car and reorganizing all of our stuff. Best of all, my son was starting to feel better. We think it was a mix of the rolling Pennsylvania hills, the juice box, and that frosted doughnut early in the morning that did him in. Thankfully they had plenty of car seats in stock and we were installed and back on the road within 20 minutes. It was one of those moments where I looked at my husband and proudly thought, “We got this”. Traveling with a family is funny – you have these crazy moments, there are tears and yelling, frustration and a range of emotions – but then the moment passes. And in the end, amazingly, you are left feeling stronger. You know, it’s actually the difficult moments that we work through as a family that define us. They shape our families and bind us inexorably together through shared experiences. Travel heightens these moments, especially when we feel a bit vulnerable and realize we are all in this together. As we continued on our family road trip, we sang songs, laughed, and saw amazing things we had never seen before. There were tears and arguments, hugs and naps, as the 1200 miles passed us by. We stopped at road side attractions and swam in a few hotel pools. We visited a zoo and fed the giraffes. My husband had fond memories of a roadside stop, so we stopped for a picture and relished his nostalgia. Was this trip easy? NO! Would I do it again? Yes. Of course. Thankfully I have gotten better at planning road trips, like our trip to Myrtle Beach that you can read about HERE, and the kids have gotten older and more accustomed to traveling. But our New York to Florida road trip is one of my favorite family memories. It has stayed with me all these years because it felt like we accomplished something special. We made it to the sunshine state as a family and it started us on a bigger journey then we had ever imagined. That one road trip laid the foundation for us to really prioritize family travel and make family time one of our prized goals. I will always remember all the crazy moments from our road trips, but mostly, I remember all the good ways it has connected our family. 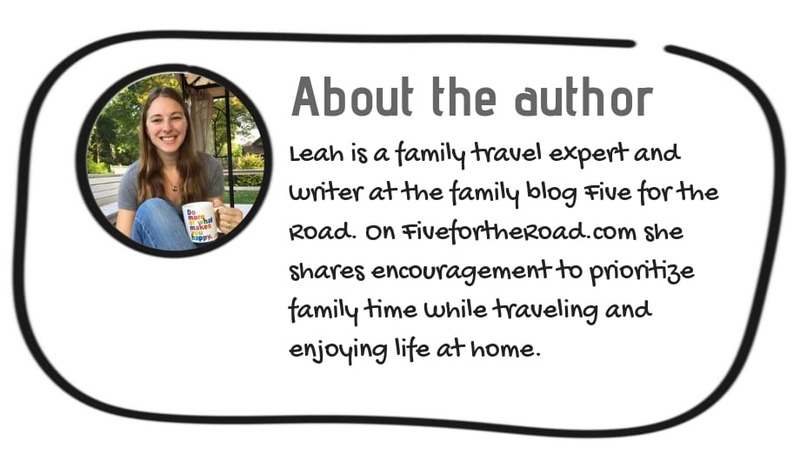 To learn more about Leah and her family, please visit her blog at Five For The Road. 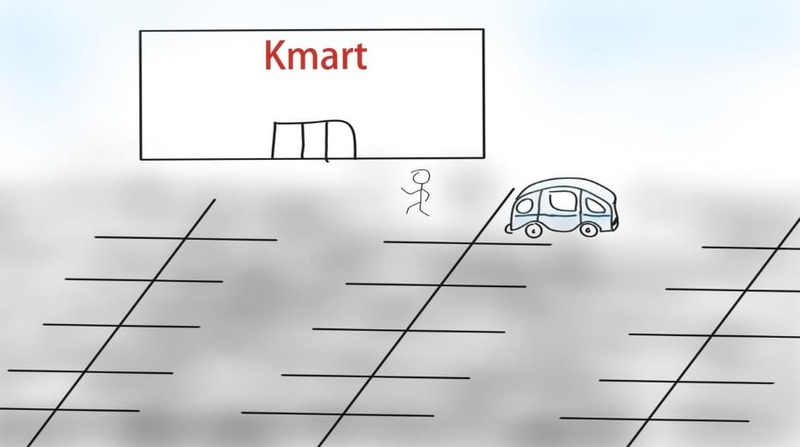 This is hilarious and just goes to show that no matter what, you can always stop at a K-mart (wal-mart/target) to get what you need! My son was a chronic car-sickness kid but this really takes the cake. 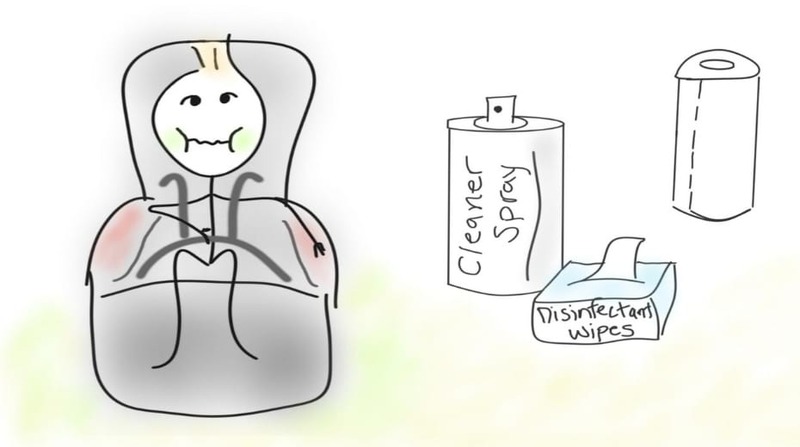 I once had to get a car-seat detailing (only in NY) but never had to pitch the whole thing!